One license for up to three computers. 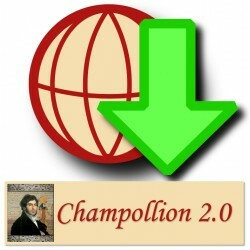 Champollion 2.0 is an helpfull software for manuscript transcription. Its goal is to facilitate current tasks of genealogists, historians or paleographers, by implementing sets of tools which purpose is to enhance readability of a document. It allows many interactions between the manuscript and its transcription. It greatly improves current tasks such as reading and managing libraries of transcriptions and original documents. 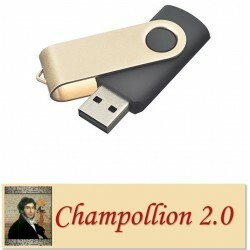 Its main principle is to put an image processor and a word processor together side-by-side.